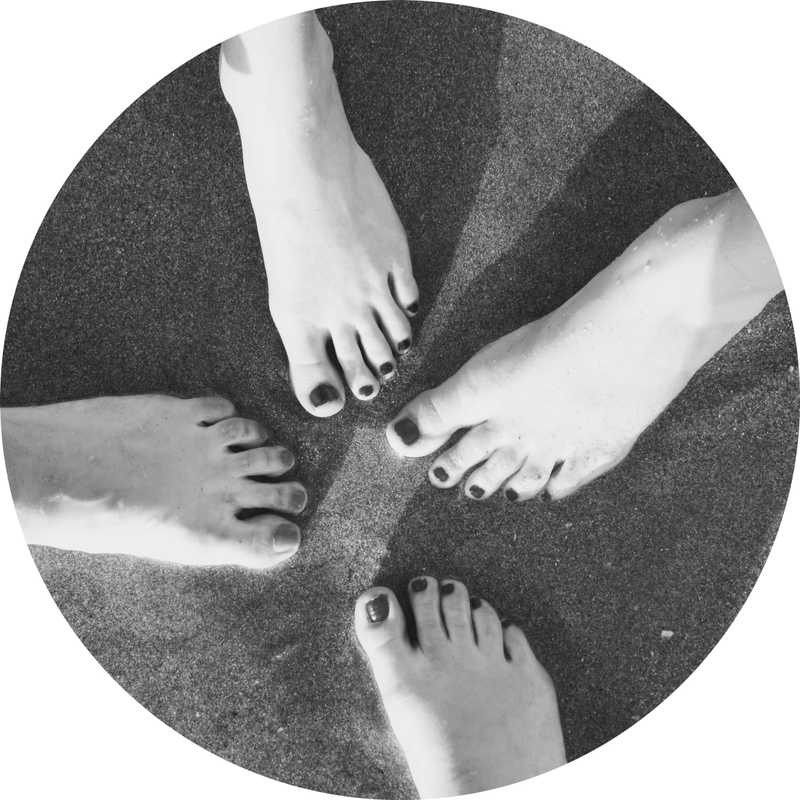 As a premier foot spa in Asheville, we spend a lot of time looking at, touching, and talking about people’s feet. One prevalent issue customers who visit our shop are concerned about is toenail fungus. We have our own policies to protect clients with our equipment and services but it doesn’t mean we’re not sympathetic to this very tough-to-get-rid-of infection. We’ve heard customer’s treatment of toenail fungus lasting months to years. Some of our own massage therapists have battled with the fungus and it is not always an easy fix! In order to help educate ourselves and our foot-lovin’ community we spoke with Quinton Yeldell—a doctor of podiatric medicine and co-founder of Southern Hospitality—about what toenail fungus is, what we can do to prevent infection, or treat it if we already have it. Toenail fungus (Onychomycosis) is characterized by thickening and discoloration of the nails. It is worth noting that fungal infections of the feet are superficial and do not become systemic. In other words, the infection remains in the area that becomes infected (i.e. feet). It is a painless condition that is largely cosmetic in nature- that means no possibilities of sickness or death. However, if the nails become excessively thick, they can cause discomfort when wearing socks or closed-toed shoes. How does someone get toenail fungus? The fungi survive on the dead skin cells that have been shed from the body. Once shed, the cells are often found on used articles that have been shared such as towels, razors, socks, and shoes—or on surfaces that can also provide exposure to infection. Microorganisms—such as fungus—thrive in warm, damp (also sweaty) settings, making places such as the floors of locker rooms, public showers, and even equipment/tools from nail salons and spas surfaces a hotbed for infecting your feet. Public facilities such as spas and nail salons can also put you at risk of obtaining fungal infections. Like locker rooms and showers, these are settings where the feet are exposed and vulnerable to shared tools and communal bowls that can pass on the fungus. It is always imperative for spas and salons to practice proper cleaning and sterilization techniques to prevent infection. Equipment or tools may appear clean but the eye test is not good enough when it comes to the possibilities of spreading infection. In addition, these are surfaces where people are far more likely to walk barefoot putting your feet at great risk for infection; it is very common for those who have fungal infected nails to also suffer from athlete’s foot. This is because BOTH conditions are often caused by the same fungus and can be acquired in many of the same ways. What can you do to treat toenail fungus? If you notice fungal changes in your nails, start off by applying over the counter topical antifungal products directly onto the nails. If symptoms persist, you should consult your local podiatrist. Also, be patient! Nail fungus can be a very difficult condition to treat. In many cases it can take a minimum six months to treat, if at all. If you show symptoms of athlete’s foot- itching, dryness, and redness- that should be treated as well. We’re Thankful For You, Foot Soakers!